Episode 63: Culture by Design- Feedback is a Key Ingredient! Are you trying to help your employee’s move from surviving to thriving? Do you want to have a culture that has a motivated and engaged workforce? Do you know how to get your team to give you feedback so that they can perform their best? Please join host, Jeff Smith, and his guest Dr. Mark Greenawald as they discuss culture, feedback and cases of organizations with a strong culture. We will share best practices, tips and tools to help you design the culture you are looking for while also helping you improve your leadership. 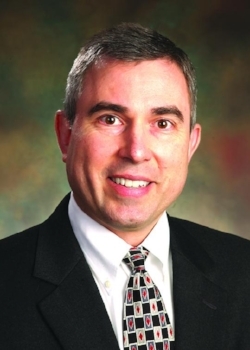 Mark Greenawald, MD, is Professor and Vice Chair of Family and Community Medicine at the Virginia Tech Carilion School of Medicine (VTCSOM) and serves as the Vice Chair for Academic Affairs and Professional Development for the Carilion Clinic Department of Family and Community Medicine. He also serves as the Medical Director for Physician Leadership and Professional Development for Carilion Clinic and Chairs the Carilion Clinic/VTCSOM Faculty Vitality and Physician Well-Being Committee. He is a certified Leadership and Executive Coach and serves as faculty for the Healthcare Coaching Institute. He is also a former President of the Virginia Academy of Family Physician and was named the Virginia Family Physician of the Year in 2016. Mark serves as the Director for the American Academy of Family Physicians (AAFP) Chief Resident Leadership Development Program, a program which has helped to develop over 4,000 emerging physician leaders.